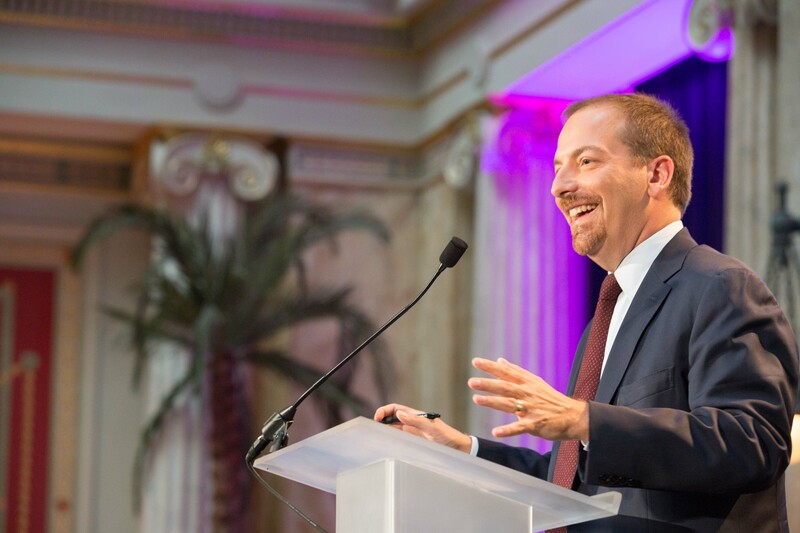 WASHINGTON, DC--(Marketwired - June 17, 2015) - Leaders from Congress, federal agencies, industry and the research community participated in an exclusive "Capitol Conversation on 21stCentury Cures" moderated by Chuck Todd, Host of Meet the Press during the Lupus Foundation of America's National Advocacy Awards Dinner held on June 16. Spearheaded by Congressman Fred Upton (R-MI), the 21stCentury Cures initiative has the potential to bring new treatments and cures forward for lupus and many other diseases by: providing an additional $10 billion in funding to the National Institutes of Health; establishing a public-private partnership to collect data and improve our understanding of diseases; supporting patient-focused drug development; and modernizing clinical trial design and review process. The conversation generated under 21stCentury Cures among advocacy groups, government officials, agency leaders and researchers has shed a critical light on the many challenges that exist in drug development and is of particular importance to people with lupus. For the estimated 1.5 million Americans and 5 million people worldwide living with a form of lupus, one drug will never be enough to treat this cruel and mysterious disease. The Foundation also presented awards to the panelists for their leadership and support of biomedical research and accelerating the development of new treatments for diseases like lupus. "My wife and best-friend Amey has lupus and my sister-in-law died of complications from lupus. Having these up close and personal experiences with lupus gives me even more incentive to fight for nonpartisan policies like the 21st Century Cures Act. This legislation is a bold bill to save lives and will modernize our healthcare innovation ecosystem so that we can find cures for diseases like lupus. The fight to treat and cure diseases is an urgent national priority and while it is no secret that doing big things in health care can take time - for patients and families who are suffering, there simply is no time to waste. I thank the Lupus Foundation of America for their steadfast advocacy on behalf of lupus patients and their families and look forward to working with them moving forward so that we can finally solve the mystery of lupus - for my family, and for families across the country." "It is a privilege to work with the Lupus Foundation of America to realize their vision of a world with no lupus. While we work toward that goal, we will partner to improve the lives of patients and families impacted by the disease. There is no organization in the country better poised to fulfill this mission." "America's biopharmaceutical manufacturing and research companies thank the Lupus Foundation of America for its extraordinary work and for this award. We are proud of our partnership and the work you do is an inspiration for our industry as we research and develop new treatments for the lupus patients who need and deserve them." "We are experiencing a 'moment' for science and medical progress on Capitol Hill that's quite remarkable given partisan stand offs and spending cuts for federal health agencies over the last decade. 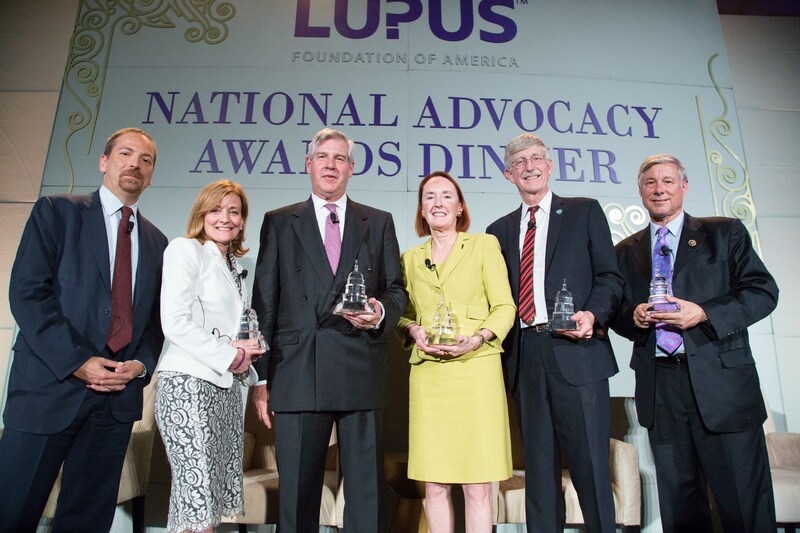 Now, with leaders like Congressman Upton and Congresswoman DeGette stepping forward and research advocates joining forces to secure a stronger national commitment to public and private sector innovation, we can accelerate the pace of discovery, development and the delivery of new therapies for lupus and achieve answers to so much else that ails us." "It has been an honor to participate in the 21st Century Cures process over the past year. We appreciate the bill's attention to fostering innovation - a goal that NIH shares. The support for NIH is crucial to advancing biomedical research." Lupus is an unpredictable and misunderstood autoimmune disease that ravages different parts of the body. It is difficult to diagnose, hard to live with, and a challenge to treat. Lupus is a cruel mystery because it is hidden from view and undefined, has a range of symptoms, strikes without warning, and has no known cause and no known cure. Its health effects can range from a skin rash to a heart attack. Lupus is debilitating and destructive and can be fatal, yet research on lupus has not kept pace with research for other diseases of similar scope and devastation. For more information, visit lupus.org. The Lupus Foundation of America is the only national force devoted to solving the mystery of lupus, one of the world's cruelest, most unpredictable and devastating diseases, while giving caring support to those who suffer from its brutal impact. Through a comprehensive program of research, education, and advocacy, we lead the fight to improve the quality of life for all people affected by lupus. Learn more about the Foundation at www.lupus.org. For the latest news and updates, follow us on Twitter and Facebook.